It was a typical busy Wednesday at Lamgo Farms. And by “typical” I mean, I was managing the household on approximately 2 hours of sleep within a 48 hr period with two litters of puppies born two nights in a row; and my run without showering was now teetering on day 4. 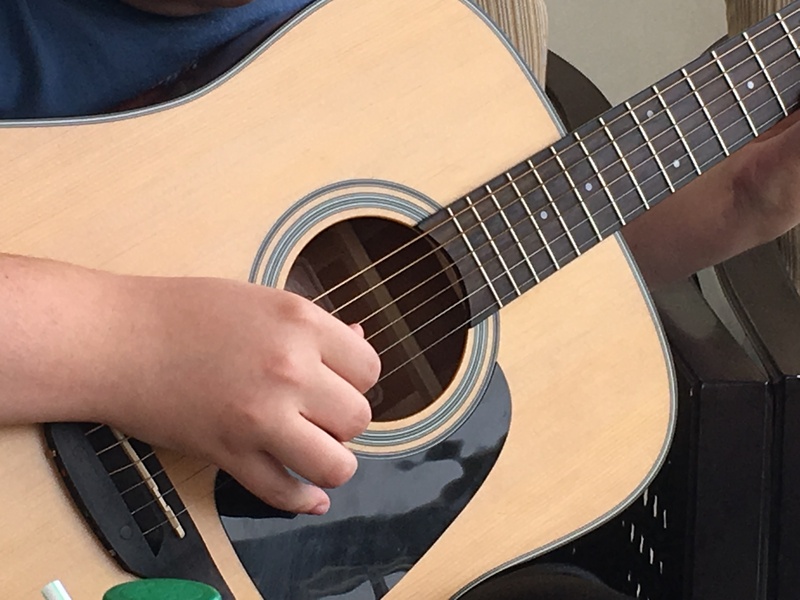 But it was Wednesday, Guitar lesson day. . .and we tried to never miss out on music days that also coincided with an opportunity at a drivers Ed lesson. So I slapped on some perfume, threw the hair up in a messy bun and out the door we ran. My hour sitting outside of Jacob’s guitar lesson was normally dedicated to either writing or working on email. But only eight minutes after pulling out my laptop, the phone rang. “Tina” from our adoption agency lit up the screen. My hands fumbled as I tried to answer in a Hurry. If you are on the journey to adoption, you have dreamt of that moment when you get “the call.” I had played it over and over again in my mind. The match, the call I would make to my husband. But no matter how much I prepared for the moment at hand, the actual call was a complete surprise and handed down from God. Friday, the week before, I received an email from Tina asking for us to update our documents for the file. She was presenting us to a birth mom who was expecting a little baby girl. My heart wanted this so bad, but over a years’ time, we endured 4 failed matches. The desire to quit was strong in our hour of sorrow. So I prayed. I asked God to please have the birth mom choose someone else if we were headed for another failed adoption. We just couldn’t endure another loss. So if we were going to lose this baby- I wanted to lose it before I could get attached. It would be a let down not to have been chosen. . .. but that was far better than opening up that heart only to be hurt again. According to the agency- the birth mom was going to make her decision on Wednesday. Wednesday. . .Guitar lesson day. This very Guitar lesson day. Seeing Tina’s name on my phone wasn’t a surprise that day because we expected to hear back either way about this birth mom. But I could have never guessed the reason she had called. I could have never guessed that the original birth mom chose another family and then once that baby was born, decided to parent. I could have never guessed that God heard my prayer that night and not only did He spare us from the loss of another failed match. . .but that He also heard the specifics of my cry. He handed us a little girl, already born. . . Check. A displaced young woman, painfully addicted to drugs called the paramedics as she went into labor. Staying at a friends’ house, she left in the early morning to make a call from a nearby gas station. She was taken to one hospital who refused to help her, and then ended up at another, better hospital. 40 minutes later, a little girl entered the world. Her birth mother looked at her, but didn’t hold her. It was too hard. The baby was whisked away and given oxygen. She appeared to be about 4 to 5 weeks early. Since no prenatal care was given, her gestational age was estimated. This sweet little girl was only hours old, but tested positive for heroin and later tested positive for meth. But she was perfect in every way. I went on to give him The basics: Birth mom was white and although there was no knowing who the birth father was, it appeared that he was white as well. This little girl was a tiny blond with blue eyes. Our decision to adopt this little girl took approximately 15 seconds. A baby girl. . .already born. I called and texted Tina, hung up the phone and cried. I’m crying now just writing this. I’m sitting beach side while Phil is holding our sleeping daughter. Our daughter. If there was one thing I’ve learned during this adoption journey. . .it was that nothing…and I mean absolutely NOTHING goes according to plan. Our adoption journey has been hard. And I just want to stop and interject here for those either just starting the journey or traveling rough roads. IT IS WORTH IT! DON’T QUIT! Stay the course! Cling to God! Stand and be strong. Have courage. Have Faith! God has overcome and He will see you through this journey. Adoption is NOT a destination. It is a journey. It does not end with the baby or child in your arms. Adoption is ongoing. Nothing went according to plan. But it was all planned out by God and that is all that mattered. It wasn’t long before Jacob was done with his lesson and back in the car. It was 1pm and we were going to head straight to the hospital to meet our little girl. I didn’t dare tell Jacob and holding my excitement was agony so I spilled. “Listen, there may be a baby available so daddy and I are going to run to the hospital to check it out.” We had so many disappointments and a total of 4 failed adoptions that it started wearing on the kiddos- I couldn’t be completely open. But I couldn’t hide it either. The phone rang again as I was driving. “Tina” it said. “So, there’s been a development. . .” My heart sank. We’ve had these let downs so many times and I held my breath for a moment. 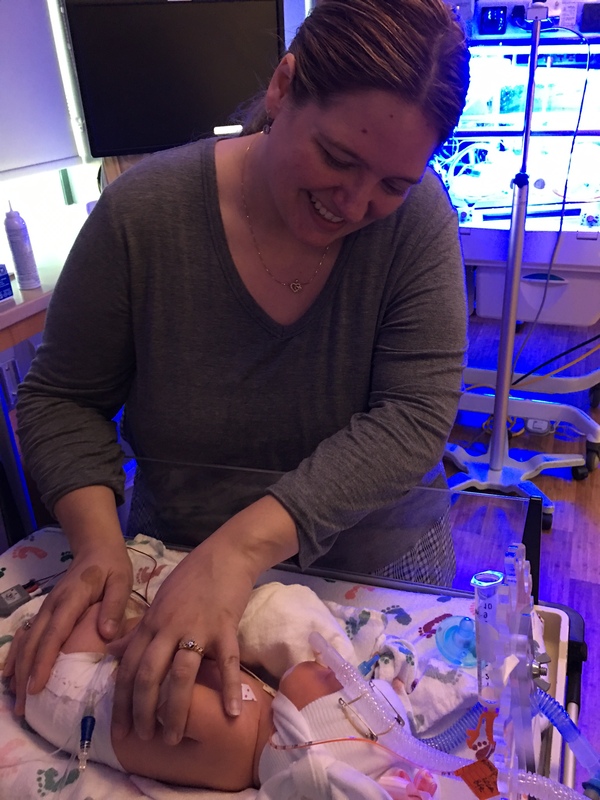 We couldn’t come up to the hospital right away because the baby was in the critical part of the NICU and another baby was being taken off of life support. They were going to close that section to visitors and other parents while the parents of that sweet baby grieved and said goodbye. “Oh my heart. You know I know what that’s like.” So we agreed to wait until dinner time to head up. I was elated to meet our girl. But I was dying inside as all of our sorrow seemed to surface in that one sentence given. William was our second child. Born and given as a complete surprise to us, his life on this earth was short. Being infertile and finally conceiving with the help of fertility drugs, I had no idea I could conceive on my own. Well, welcome to the story of William. 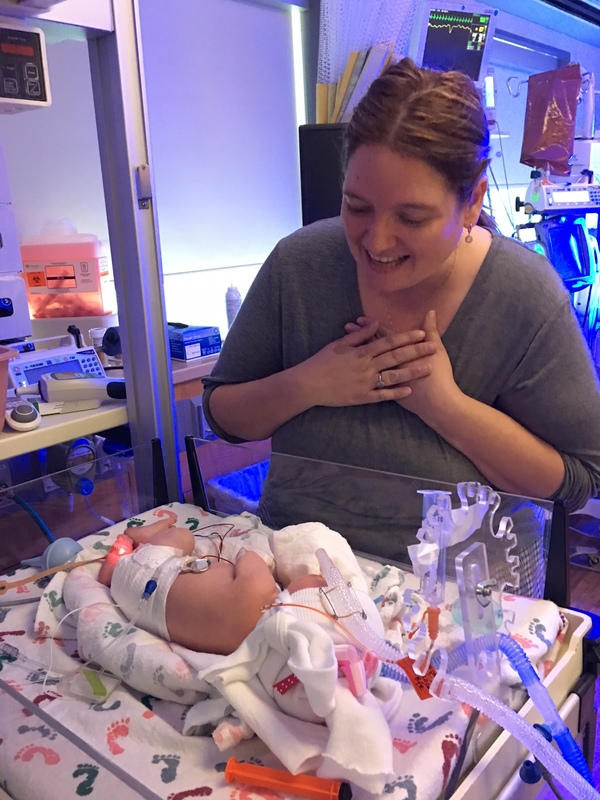 William was born with Hypoplastic Left Heart Syndrome. The condition went undiagnosed so when we finally learned of his illness, he had lost his major organs and we eventually decided to take him off of life support. The very thing this poor family was enduring had already been on our doorstep. How horrible that one of my greatest days was their worst. My heart broke for them. The clock was closing in on 6 pm when we finally arrived at the hospital. Our experience with our failed adoptions at the hospital did not go well. . .so we were nervous. Telling ourselves not to get excited our stomachs were in knots. Poor Phil was suffering from a nasty sinus infection and had just started antibiotics. So we decided he would not enter the NICU. That was hard for me. Not only did we miss the birth, the birth mom, etc. . .we would also not meet our daughter together. Phil wouldn’t even see her for 2 days. 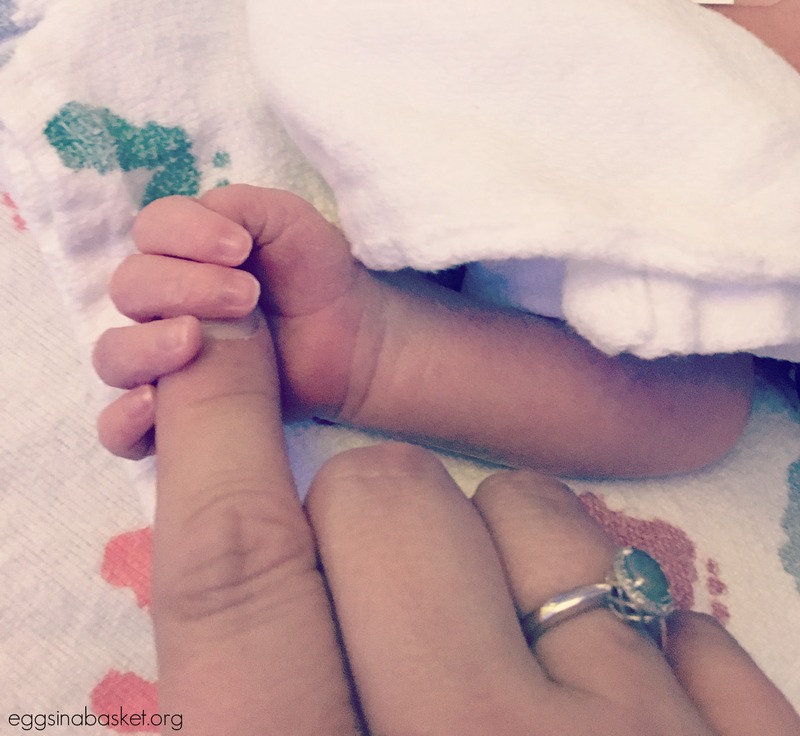 We had no idea what being in another NICU since William would do to us. But much like we imagined upon the security doors opening. . .the stench of the sterile environment hit hard. Tina, the hospital’s Social worker and I entered. As I was rolling up my sleeves, a stranger approached with tears in her eyes. She worked at the adoption agency and had heard about our heartbreaking journey. Emotions overcame her as she hugged me and offered her congratulations. Was this really happening? Soap, lather, scrub. . .all while singing “Happy Birthday to you” in my head. . .I washed my hands, my arms and back down to my hands again. It was time. I stopped at the nurses station for a moment for them to get my signature and drivers license, and then a nurse led me to a little ohio bed. There she was. We found her! We finally found her! We found Ava!